Using four beakers of liquids with known densities, estimate the density of a variety of objects. 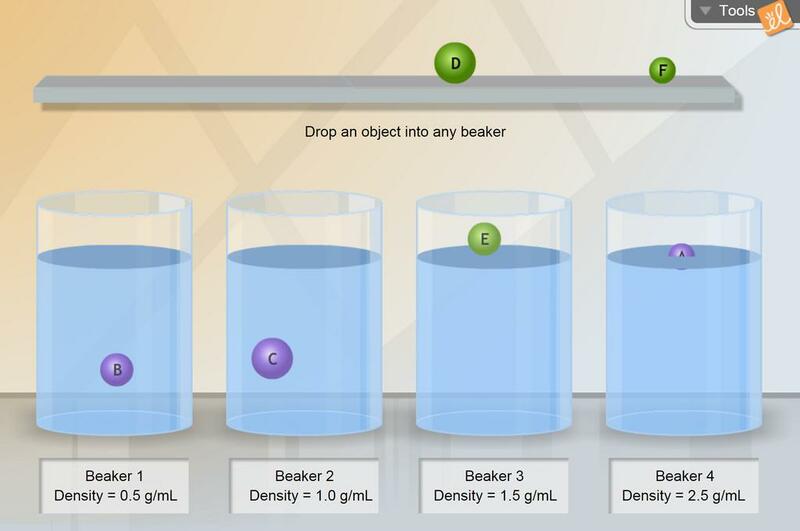 Place each object into each beaker to see whether it sinks or floats, and then use this information to compare the densities of the objects. Great into to density and comparing densities.